Our experienced mindfulness instructors have a minimum of five years and 2,000 hours of mindfulness training. Caverly is the founding director of Peace in Schools. 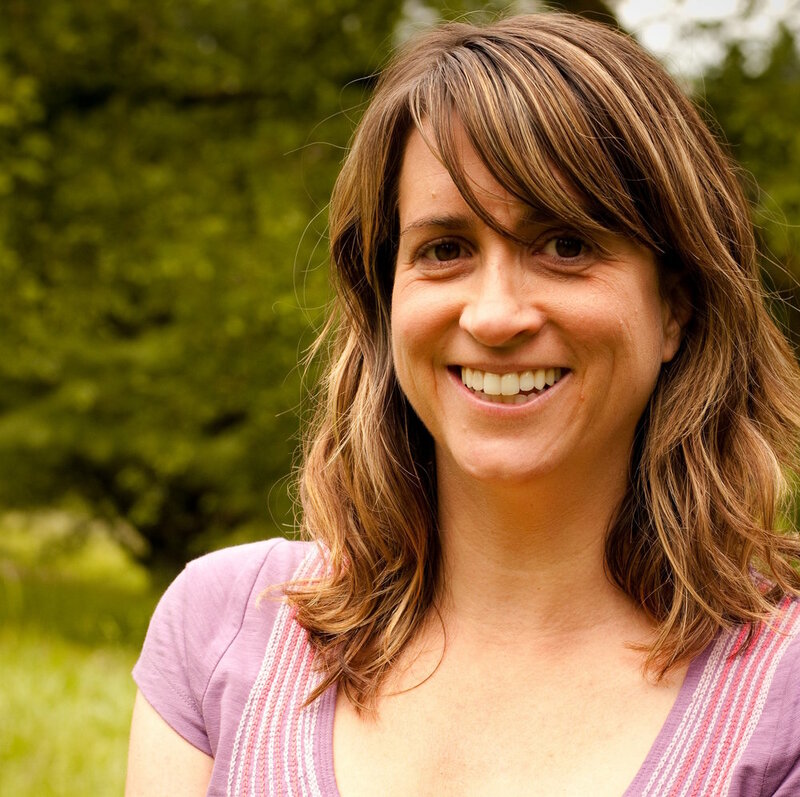 She leads the Peace in Schools teaching team, develops our mindfulness curricula, and works directly with teens. Caverly has been practicing mindfulness since 1995, including eight years in a monastic setting. Caverly brings insight, passion and humor to her transformative work with students of all ages. Sam has been a nonprofit director for more than twenty years. He brings to Peace in Schools his experience in strategic planning, program development, fundraising, financial management, communications and human resources. He holds a Masters Degree in Public Administration with a focus in Nonprofit Management. Sam works with staff, board members, supporters, and volunteers to help our programs grow and thrive. He is deeply committed to the practice of mindfulness and believes in its power to transform lives. Barnaby has practiced mindfulness since 1994. He believes strongly in making mindful awareness practices accessible to everyone. He is certified to teach a 12-week curriculum in Mindfulness-Based Substance Abuse Treatment for Adolescents (MBSAT). He volunteers at Randall Children's Hospital and on mindfulness retreats for teens. Barnaby was formerly employed in finance and investment management. He holds a Bachelor of Arts in English from Pomona College. Gentiana has a diverse background, including experience with non-profits, community organizing, Spanish interpretation, horticulture, and small-scale agriculture. She has been farming for nearly a decade, and is currently the co-owner and operator of a micro urban farm in North Portland. In 2009 she helped established the St. Johns Farmers Market, and then went on to manage the market for three years. Gentiana has been a dedicated practitioner of yoga since 2001, and has been practicing meditation since 2012. She holds a Bachelor of Arts in Spanish from Portland State University. Michael is a mindfulness and movement instructor for Peace in Schools. As a permanent foster parent of two teens, he brings passion and loving attention to his work with youth. Michael earned a bachelor’s degree from Oregon State University and has had a dedicated mindfulness practice since 2011. Maggie was first introduced to mindfulness in 2003 and attributes her profound shift in perspective to the practice she started as a young adult. A licensed school social worker and certified youth life coach, Maggie is passionate about the importance of this work and is dedicated to bringing mindfulness to youth and their families. She is a strong advocate for trauma informed care and is committed to bringing trauma-informed practices into schools and organizations that serve adolescents. Stephanie has been practicing mindfulness since 2011. As a birth doula, parent, and facilitator with Peace in Schools, Stephanie is committed to integrating awareness practice into all aspects of life. Through Peace in Schools, she has brought mindfulness to teens in chronic pain. She has also been part of the creation of a practice group for parents and now leads regular workshops for adults. She enjoys bringing practice to people of all ages through life and its many transitions. Gia Naranjo-Rivera is a doctoral student at Johns Hopkins University in the Department of Population, Family, and Reproductive Health. Her studies focus on adolescent and minority health and mixed methods research. She received a MPA and a MA in International Relations from the Maxwell School at Syracuse University and a BA in Political Science from Columbia University. Gia has managed youth programs and worked on human rights initiatives with the United Nations High Commission for Refugees and Human Rights Watch, and served as a Public Health Analyst at the National Cancer Institute. Gia has a passion for working with adolescents and the need to develop effective, affordable, evidenced-based programs to improve youth outcomes. Maddi graduated from Cleveland High School in 2016, where she took Mindful Studies with Peace in Schools. Maddi loved the class so much that she helped create an internship position after she graduated! As an invaluable part of the Peace in Schools team, Maddi coordinates Teen Mindfulness Night twice a month, in addition to many other duties. When she’s not interning with Peace in Schools, Maddi enjoys writing and exploring new art mediums. She is also passionate about the intersection of mindfulness and social justice.